Father is Solon, mother is Rabo. - Solon, direct Gerard Koopman, is son to Bjarne (De Rauw Sablon) and Miss Jenjira. Miss Jenjira was an excellent hen with a.o. 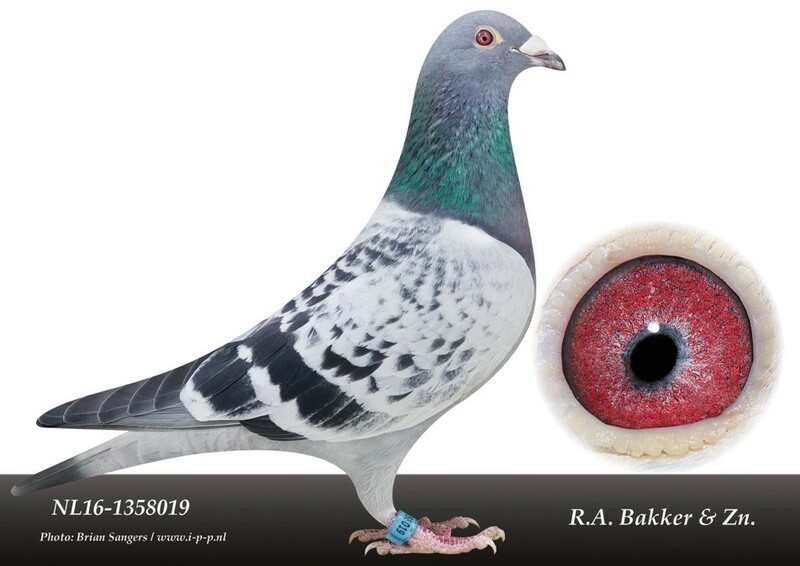 1st price NPO against 4.564 pigeons and 16th price NPO against 4.494 pigeons. She is granddaughter to Bjarne. 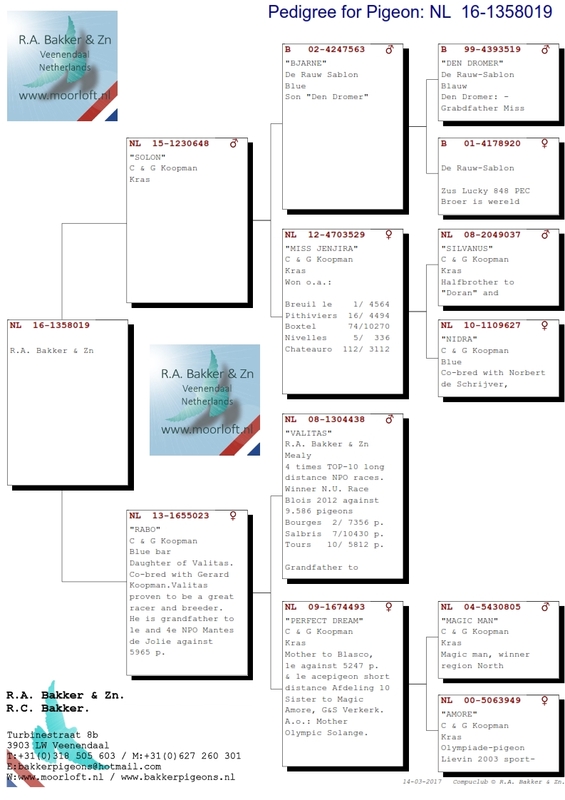 - Rabo is daughter to famous “Valitas”, one of the flagbearers of R.A. Bakker and Son. He won 4x Top-10 on the NPO long distance races. Valitas is decendent of the “Pre-Koopman” strain of Dolf Bakker. Not knowing who his parents are he became ancestor of the “Valitas strain”. Gerard Koopman recognized the achievements of Valitas. That is why Valitas visited the Koopman breeding loft and was paired with some of his best breeding hens. In this case with Perfect Dream, mother to Blasco, best short distance pigeon Department 10, won a.o. : 1st price against 5.247 pigeon.